April 20th (4/20) is a national holiday within cannabis culture. Its beginnings can be attributed to Bob Dylan, police code, and even a group of Californian high school friends circa 1970. However, while its origin remains shrouded in mystery, our current understanding of the holiday is not. 4/20 is a day for cannabis enthusiasts and advocates to gather together in the face of societal condemnation—setting fire to both flower and stigma. As organizers, while we are intertwined with other pro-pot organizations via our goal of ending cannabis prohibition, we must ensure that we are diverse in our strategies to reach all cannabis consumers and legalization supporters. Those diverse strategies are also necessary in our efforts to bring cannabis supporters ‘out of the closet’ and to gain new support for legalization. The 4/20 Vigil is part of our strategy, and we understand this ‘breaks tradition’, but this display has already garnered new support for the movement. Throughout Sensible Minnesota’s existence countless individuals have reached out, sharing stories of unrelenting ailments, the broken construct of our justice system, and a general desire for legal access. The passionate pleas for access have differed, yet a commonality arose: fear of persecution resulting in the loss of what they loved most. This is why we’ve chosen to share and display the stories of 55 Minnesotans who have been negatively impacted by prohibition at the Capitol Rotunda on 4/20. From a new mom to a mom whose son was killed by a police officer, to patients who have died from their opiate addiction – a result of their lack of access to cannabis, as well as children who lived the majority of their short lives suffering from lack of access to their life-changing medicine, these stories are meant to speak to a broad audience who can relate to the victim. We’d like to express a huge “THANK YOU!” to the individuals willing to publicly share their stories with the community; your bravery is inspiring and sincerely appreciated. While our actions cannot fully encapsulate the somber reality set by the failed war on drugs, it is our hope that lawmakers will begin to acknowledge those silenced in its wake. We want the public, lawmakers, and the media to understand cannabis criminalization is an issue we need to take seriously. 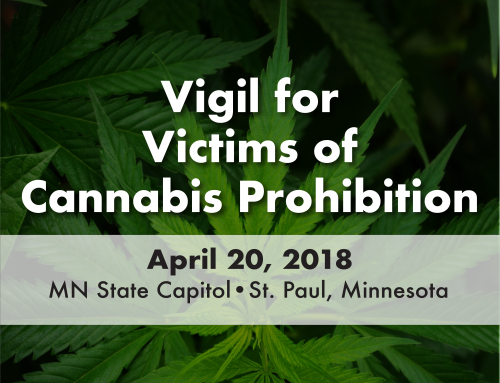 We’d like to extend the invitation and encourage all to join Sensible Minnesota at the Capitol Rotunda in show of support for the Vigil for Victims of Cannabis Prohibition on April 20th from 1:30PM- 3:30PM. During that time frame, thousands of students will also be gathering at the Capitol for the 19th Anniversary of the Columbine Massacre. While all are welcome to join us we ask that you remain respectful of the youth in attendance and set flame to your flower elsewhere. If you can’t make it to the Capitol, please consider supporting Sensible Minnesota at the 420 Sessions this weekend at Comedy Club Underground. 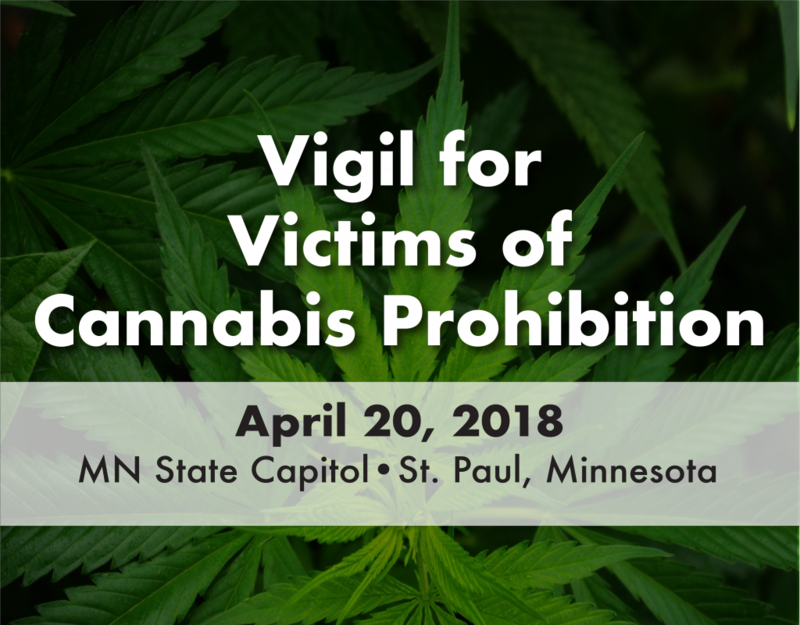 All proceeds from the Friday and Saturday night shows will benefit Sensible Minnesota’s work in bringing light to the necessity of ending cannabis prohibition.